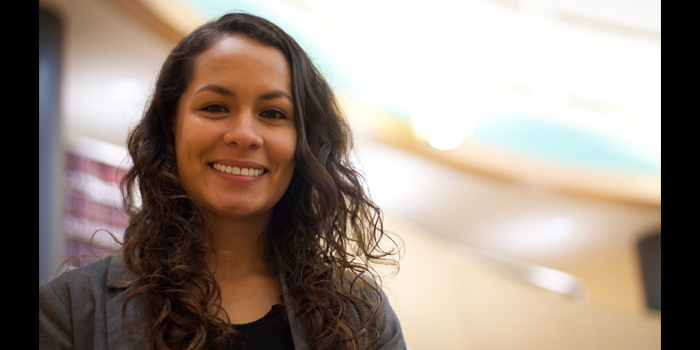 Ibonne Moscoso (LLM ’17) was featured in the fall 2016 issue of the National Jurist. Moscoso is one of several international students profiled in the article, “Guide to LL.M. Programs for Foreign Attorneys,” by Katie Thisdell. The article begins on page 28 and features Moscoso on page 36. Prior to attending Wake Forest Law, Moscoso, a Peru-native, earned her LL.B. and professional degree in law from the University of Applied Sciences of Peru, during which she was an assistant teacher and published several legal articles. After graduation, she worked for three years as a Court of Consumer Protection lawyer in the National Institute for the Defense of Free Competition and the Protection of Intellectual Property, a specialized public agency that promotes fair and honest competition in the Peruvian economy, according to its website. Looking to study in the U.S. and improve her English, Moscoso applied to Wake Forest Law’s LL.M. degree program. She credits small, diverse classes; access to professors and JD students; opportunity to take extra classes, as well as quality service during the application process, in determining her choice. Students from Moscoso’s LL.M. class hail from Brazil, China, Japan, Kosovo, Poland, Saudi Arabia, India and other countries. Now, she plans to return to Peru in the field of consumer protection and public policy. Having learned a new legal system and practice of law, she increased her employability and professional value.